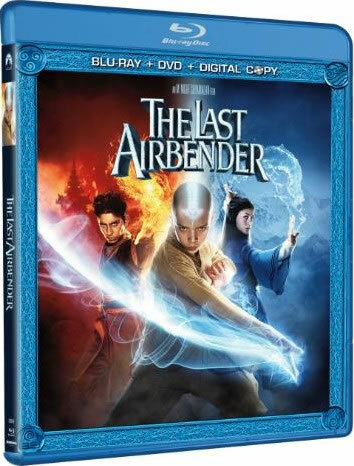 Heads up to all you Avatards out there, who may be excited about The Last Airbender’s DVD & Blu-ray release next week on the 16th. If you head on over to BecomeTheAvatar.com, you can upload a personal photo of yourself, friend, or family member and become the Avatar, to be printed as a poster, DVD or Blu-ray cover. Doing so will also net you a $5 off coupon good towards the DVD/Blu-ray combo pack! As you may have guessed, we are back from our hiatus…somewhat. Many aspects of our personal and professional lives have drawn our attention away from the Avatar fandom these last few months, but expect us to be a little more active over the months to come. Thanks for the support. This entry was posted on November 11, 2010 at 3:50 pm and is filed under DVD/Blu-ray. You can follow any responses to this entry through the RSS 2.0 feed. You can leave a response, or trackback from your own site. Ummm Finally They woke up! .mmmm i still have a question Night will still make the second movie? ?’ right…..Or they didnt get enought money for the second one or what? hey guys, good to know you’re still around! I have to say, the cartoon is great, I’m looking foward to Legend of Korra an incredible amount, but that stupid MNS version of The Last Airbender was incredibly awful. Is it too much to ask that they actually pronounce their names correctly? Are you guys still gonna make a second movie/book of The Last Airbender? 😀 I’m a really BIG fan.